The argument that Islamabad would furnish Riyadh with nuclear weapons is far-fetched. Over at Defense One, Prince Turki Al Faisal, the former chief of Saudi Arabia’s intelligence agency and a member of the al-Saud royal family, has a commentary piece calling for the establishment of a weapons of mass destruction free zone (WMDFZ) in the Middle East region. The piece is based off a larger Harvard report he has written on the same subject. Prince Turki is hardly the only one arguing for a WMDFZ for the region, and I have no reason to doubt his sincerity in proposing one. Indeed, as he notes in the piece, the Arab states have been leading the charge for a Middle East WMDFZ for some time now. Nonetheless, the messenger of the piece, as well as its timing, will no doubt reignite fears in the West that an Iranian nuclear weapon would spark a nuclear arms race in the volatile region. This fear is nothing new. As I’ve noted elsewhere, since the dawn of the nuclear era the U.S. in particular has regularly feared that the world was approaching a nuclear tipping point. The fact that a nuclear cascade has failed to materialize has done little to dampen these fears. Indeed, U.S. and Western officials have repeatedly stated that a nuclear arms race in the Middle East is one of their gravest concerns about Iran acquiring the bomb. Saudi Arabia tops nearly everyone’s list of countries that are most likely to acquire a nuclear weapon should Iran do so. Saudi leaders have often tried to stoke these fears. 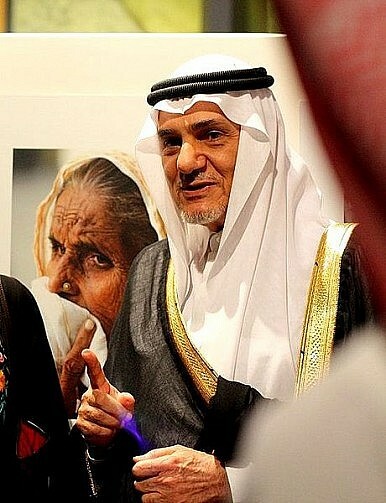 Prince Turki, who’s a well-known personality in London and a card-carrying member of “This Town” owing to his previous stints as Saudi Arabia’s ambassador to the UK to the U.S., has himself repeatedly threatened that Riyadh will pursue its own atomic weaponry should Tehran go nuclear. Riyadh’s advocacy for U.S. airstrikes on Iran’s nuclear facilities makes it difficult to take Prince Turki and other Saudi officials at their word on this point. Nonetheless, the Kingdom’s prolonged rivalry with Iran makes it reasonable to think Saudi Arabia would want a nuclear weapon if Iran had one. Where the argument falters is when discussion turns to how Saudi Arabia would go about acting on its atomic desires. Sure, Riyadh is currently pursuing a civilian nuclear energy program through foreign assistance, but it has limited indigenous human and industrial capital to transform this civilian program into a nuclear weapon. At best, it would, like most recent nuclear proliferators, take a few decades or more to build a bomb. Yet many Saudi Arabia experts don’t believe the current regime will stay in power for decades. Even if it did, acquiring a nuclear weapon by mid-century would hardly be sufficient if a nuclear-armed Iran is as detrimental to the Kingdom’s interests as its leaders claim. In other words, by the time Riyadh could build its own nuclear arsenal, Iran’s nuclear acquisition would be a moot point. For these reasons, those who fear a Saudi bomb don’t contend that Riyadh will build one itself, but rather argue it would buy a ready-made arsenal from Pakistan. Islamabad’s willingness to take the unprecedented step of supplying Saudi Arabia with a nuclear arsenal is based largely on the testimony of Mohammed Khilewi, a former Saudi UN diplomat who tried to defect to the United States in the early 1990s. In his efforts to win asylum in the West, Khilwei told government officials and the media that Saudi Arabia had been trying to acquire a nuclear weapon since the mid 1970s. As part of these alleged efforts, Khilwei claims Saudi Arabia helped finance Pakistan’s nuclear weapons program during the 1970s and 1980s under the agreement that Islamabad would furnish Riyadh with some of the finished product should Saudi Arabia ever deem it necessary. Augmenting Khilwei’s testimony are rumors that Pakistan gave visiting Saudi officials a tour of its secret nuclear facilities in the late 1990s. Khilwei had obvious motives for fabricating his story, and Saudi Arabia has little interest in trying to dispel the notion that it can acquire nuclear weapons in short order. But even assuming a Saudi-Pakistan nuclear pact was made in the 1980s, there’s little reason to believe Pakistan would uphold it. After all, the United States has given Islamabad billions of dollars to fight terrorism since 9/11, and Washington found Osama bin Laden living in an off-campus mansion near Pakistan’s military academy. Furthermore, Saudi Arabia pressured Pakistan in the late 1990s and early 2000s to get the Taliban to hand over bin Laden, and this too came to naught. In contrast to forcing the Taliban to hand over bin Laden, Pakistan has compelling strategic reasons for not giving Riyadh nuclear weapons. For one thing, Islamabad is deathly paranoid that its current arsenal is too small to survive an American or Indian first strike, and is rapidly expanding its arsenal and trying to conceal existing warheads as a result. It is therefore farfetched to think current Pakistani leaders would voluntarily part with some of their nuclear warheads in order to uphold a deal their predecessors made in the 1980s. Giving Saudi Arabia nuclear weapons would also have an immediate and significant diplomatic backlash for Islamabad. This is of course true with the U.S. and the West, who control the International Monetary Fund, which is helping keep Pakistan afloat. Additionally, Pakistan’s “all-weather” friend China would be none-too-happy with it given Beijing’s heavy reliance on Saudi crude. Iran would be even more infuriated by the move, and it has numerous ways to retaliate against Islamabad. For starters, Tehran would cancel plans to sell energy-starved Pakistan some badly needed natural gas. Iran also has the ability to stir up trouble in Pakistan’s independent-minded Baluchistan Province as well as Afghanistan, especially with the help of Islamabad’s archenemy India, with whom Tehran would undoubtedly vastly expand relations in response to Pakistan selling Saudi Arabia a nuclear weapon. For all these reasons, Pakistan would not sell Saudi Arabia a nuclear weapon. Proliferation no longer begets proliferation– conventional military power does.